On one of the most central and beautiful avenues of the city, in the commercial and social center of Athens, this hotel offers a friendly and hospitable atmosphere. The friendly environment of Athinais boutique hotel is based on the family character of the business and the personal care of its owners. The facilities for all rooms include daily maid service, Air-condition, Bath amenities, Wi-Fi wireless internet, Sound proof, Room service, Satellite-TV, Direct-dial phone, Fridge, Wake-up call, Hairdryer, Bath or shower and Safe box. 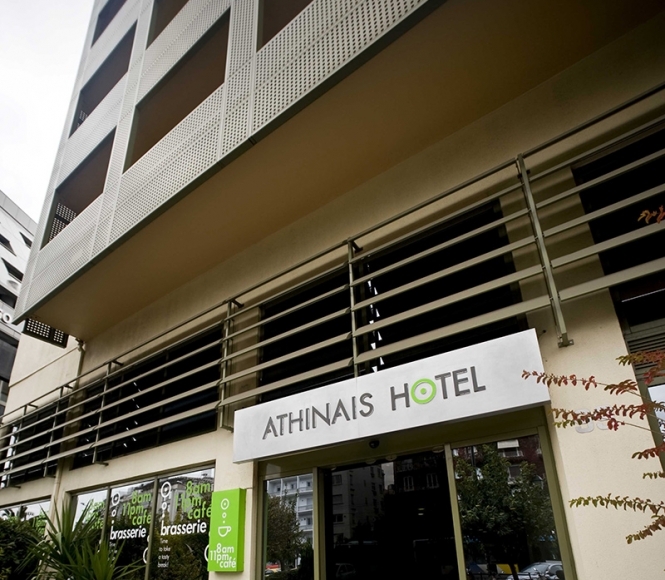 Athinais Hotel was built in 1977 and has been totaly renovated in 2006. It is located in the heart of Athens next to Mavili square, in a safe area 10 min. walk from Kolonaki area, the most popular commercial and shopping area. Just 5 min walk to the Megaron Athens Conference Centre Hall and Venizelos Park, 15 min from the National Gallery.